As one of the longest-tenured doctors at Tahoma Clinic, Dr. Russel specializes in bioidentical hormone replacement therapy for men and women; women’s health, including menopause, PMS, and fibroids; bone health; adrenal fatigue and stress management; thyroid balance; brain health; gastrointestinal and digestive health; food allergies; sleep issues and optimizing nutrition. Dr. Russel is described as a doctor skilled in the ability to unravel the health mysteries that her patients present, often finding treatment options that others might not have considered before. She is an author, editor, and researcher, in addition to being a board-certified licensed Naturopathic doctor in full-time practice at Tahoma Clinic and a graduate of Bastyr University. She was the lead researcher in two Tahoma Clinic studies on the use of aldosterone and hearing loss. She is also the author of an online book, “Living a Healthy Brain Lifestyle to Prevent Dementia and Alzheimer’s Disease,” published by Praktikos Institute. 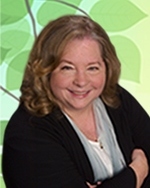 Having been a medical writer and editor for many years, she has been a contributing author to NDNR, Naturopathic Doctor News and Review, and has been published in the Townsend Review for Doctors and Patients, and Life Extension Magazine. As Dr. Russel describes it, “After years as a writer and editor, I became a doctor to serve others and improve the health and quality of life for all. This desire to serve has been expressed in many meaningful ways, from opening a community clinic in Kenya, Africa, to writing extensively in the field of natural medicine, to joining the very knowledgeable medical staff at Tahoma Clinic. I have always found that life is one of the best teachers and it’s this philosophy that plays a big part of every patient visit. The healthcare challenges that patients are going through are some of the same healthcare challenges that I have faced and overcome – and I can show patients how to do that too. During each patient visit, my patients and I work as a team to identify the health issues most important to them and then establish an effective treatment plan for healing to occur. It’s my goal as a doctor to empower every patient with the knowledge they need to make their own best healthcare choices. Too often, through conventional healthcare, people have become separated from both understanding and awareness of the underlying causes leading to their health concerns. Using the considerable resources and knowledge available through Tahoma Clinic, the medical staff and I serve as a support team for people seeking answers to what is ailing them. When not at Tahoma Clinic, I enjoy the warm ocean breezes of tropical climates, exploring ancient civilizations and natural history, and volunteering with environmental and health care not-for-profit organizations, including a cancer retreat center in Western Washington. I believe that we are all capable of healthy living at any age and I look forward to meeting you soon and helping you become the best you that you can be.